The Hubble Space Telescope has produced the most stunning images of the cosmos humanity has ever seen. It has transformed our understanding of the universe around us, revealing new information about its age and evolution, the life cycle of stars, and the very existence of black holes, among other startling discoveries. But it took an amazing amount of work and perseverance to get the first space telescope up and running. The Universe in a Mirror tells the story of this telescope and the visionaries responsible for its extraordinary accomplishments. Robert Zimmerman takes readers behind the scenes of one of the most ambitious scientific instruments ever sent into space. After World War II, astronomer Lyman Spitzer and a handful of scientists waged a fifty-year struggle to build the first space telescope capable of seeing beyond Earth's atmospheric veil. Zimmerman shows how many of the telescope's advocates sacrificed careers and family to get it launched, and how others devoted their lives to Hubble only to have their hopes and reputations shattered when its mirror was found to be flawed. This is the story of an idea that would not die--and of the dauntless human spirit. Illustrated with striking color images, The Universe in a Mirror describes the heated battles between scientists and bureaucrats, the perseverance of astronauts to repair and maintain the telescope, and much more. Hubble, and the men and women behind it, opened a rare window onto the universe, dazzling humanity with sights never before seen. This book tells their remarkable story. 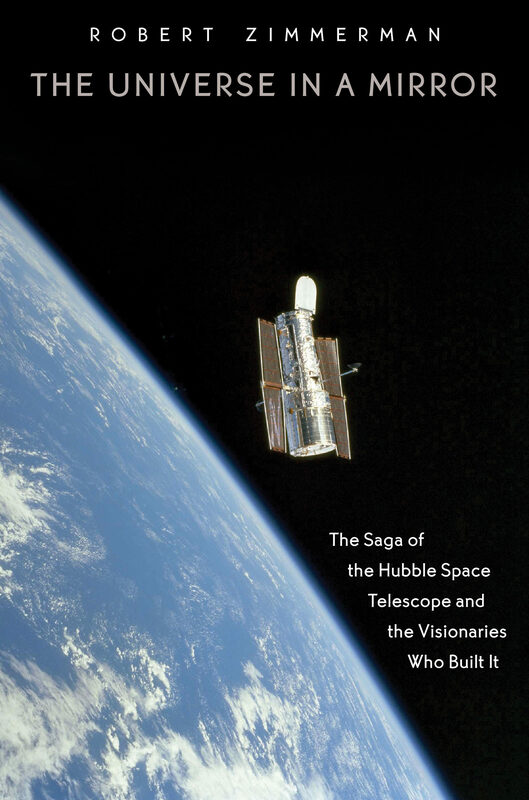 A new afterword updates the reader on the May 2009 Hubble service mission and looks to the future of astronomy, including the prospect of a new space telescope to replace Hubble.